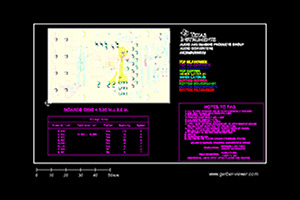 The TIDA-01395 TI Design provides a low BOM cost, high-efficiency power stage solution for smart thermostats, and other gateway building automation end quipment. This power stage takes a 24-V AC input and produces a 5-V and 3.3-V output rail, which can power additional point-of-load converters if added. The design provides LiPo battery charging and seamless switching to battery power during a 24-V AC brownout. 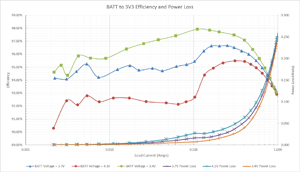 The power-path capability provides battery power assistance allowing system load transient to exceed the current limit of the 24-V AC to DC system, allowing a lower cost wide Vin buck to be used. 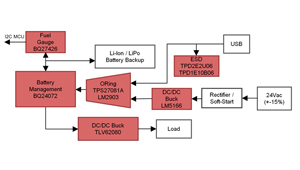 The battery fuel gauge helps designers preserve battery life and ensure proper operation by helping the central processor make smarter decisions on power saving and system functionality.